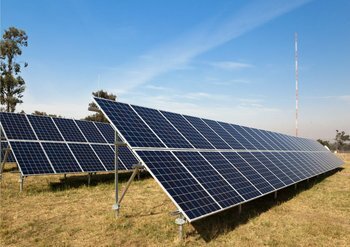 This recent inspiring project will bring solar power to a major town in NSW's riverina. We prepared a visual impact assessment that considered views from surrounding residents and transport corridors, from the air and potential impacts to a nearby international wetland. This recent project is to upgrade the existing electricity capacity on Canberra's developing urban fringe. It involves a visual impact assessment of a number of major transmission lines and a new substation. The new light rail has now been built along a previous freight line through Sydney's inner west from Lilyfield to Dulwich Hill. Envisage prepared a Privacy Mitigation Plan over six months & made recommendations for mitigating against visual impacts and privacy changes to surrounding residents. A major policy document developed for Lake Macquarie City Council whilst working in-house with Council planners. 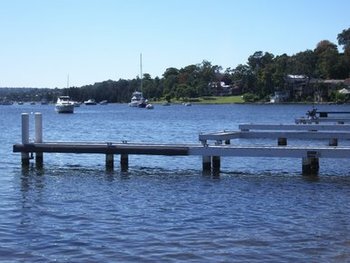 It provides guidance for protecting and reinforcing the unique natural and built environment of the scenic Lake Macquarie region on the NSW coast. 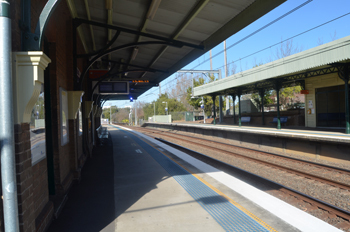 Envisage have prepared visual impact reports for many TfNSW projects, including for major station upgrades of the Sydney stations of Penrith and Croydon, as well as proposed multi-storey car parks at several other city sites. We recently prepared a public domain master plan for the regional Hunter town of Branxton which has had a significant role change since being bypassed. The plan was undertaken as part of a new land use strategy with City Plan Services. Envisage are working with City Plan Services on this major strategic project, with our role providing expertise on option development, planning and the town centre public domain. A highway upgrade project on the NSW south coast undertaken with Jackson Teece. The long existing bridge is to be replaced and the village shopping areas on each side of the lake will be bypassed. Design needed to consider the affect of the bridge and how to create pleasant village zones to attract passing trade. 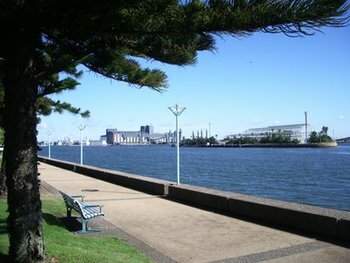 Islington Park is one of Newcastle's best -loved parks, located to the near the city. Although having a good framework, Newcastle Council recognised that the park was in need of a concept master plan to address some maintenance, amenity and user issues. This was an exciting strategic ideas plan for Newcastle Port Corporation. Carrington’s location close to Newcastle’s CBD means that it is strategically positioned to adapt to transform from land used for industrial and port purposes to a new urban and recreational destination. An exciting foreshore re-development project of one of Lake Macquarie’s premier foreshore areas, for Lake Macquarie City Council. The PoM and masterplan form the future design and management framework of this significant foreshore reserve. Major project for the RMS in association with Jackson Teece. 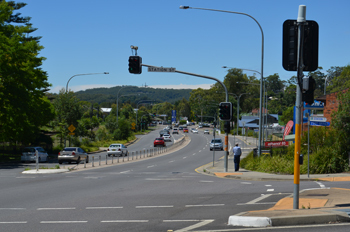 The highway is to be widened by up to six lanes through this regional town on the busy Central Coast of NSW. As the town centre is greatly affected, there is potential for visual and urban design impacts to users of the highway, pedestrians/cyclists and businesses. An emphasis was placed on creating a highway that is both attractive and improves town centre functionality. 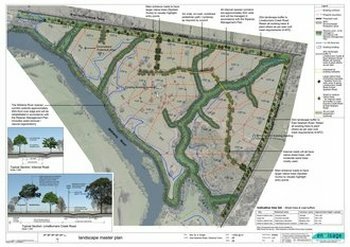 Input to the urban and landscape design strategy, design principles, landscape charatecter/visual impact assessment and landscape concept plans formed part of our subconsultant role. 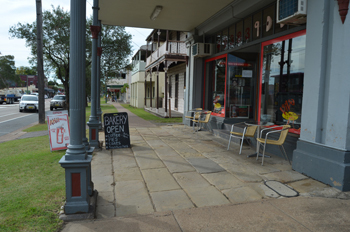 This project for Cessnock City Council involved preparing a master plan for the historic Kurri Kurri Cemetery and Aberdare Cemetery, both having heritage values. The site is sensitive to visual changes as it sits within a larger institutional complex that has major heritage values. We made recommendations on how best to minimise impacts and maximise the character values of the site through sensitive development that is complimentary to the existing heritage values. 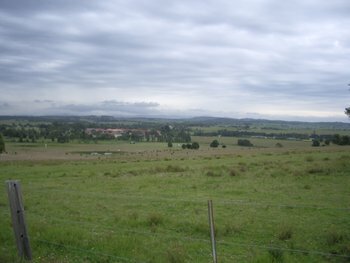 Envisage advised on visual and design issues associated with this rural-residential subdivision north of Newcastle. The report included a Landscape Masterplan that identified where screening may be required, links to surrounding areas and the village and streetscape treatments. 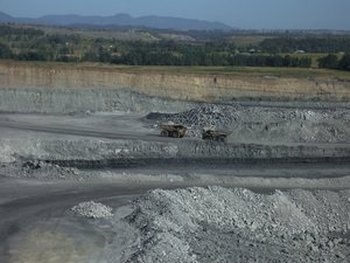 This is one of many mine projects we have worked on, & involved a major open-cut coal mine in Queensland. 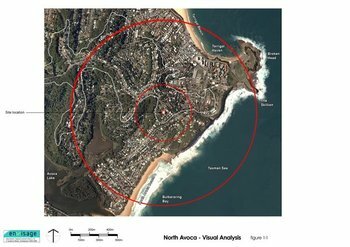 Potential visual impacts relate to changes to the landscape, views from a nearby public road and views from a number of adjacent properties. Envisage worked with Smart Future Consulting to prepare a Sustainability Management System for Mirvac and Landcom’s developing residential community of Middleton Grange in south-west Sydney. Three separate highway bypass projects on the Hume Highway, between Gundagai and Albury, involving the towns of Holbrook, Tarcutta and Woomargama. We provided strategic urban and landscape design, and visual assessment services in association with others. A number of visual impact assessments for communications facilities that include tall monopoles. The monopoles were located in prominent, elevated locations which generated community interest and concern, with the VIA used to clarify impacts and suggest mitigation.